It is a common observation from sports owners. You can run a huge billion-dollar business and stay anonymous. But, buy a professional team and prepare for a newer, more intense level of scrutiny. Dundon finalized his majority purchase of the Carolina Hurricanes late last week. One of the first noticeable changes came as fans entered PNC Arena for Sunday’s game against Calgary. The Raleigh News & Observer’s Luke DeCock reported that the owner — disliking the setup in the team’s merchandise store — moved apparel into the concourse, making it easier to shop. That came two days after Dundon met Alain and Monica Taylor, season-ticket holders who got married seven years ago on the arena’s ice surface. He gifted them with a spot on the team plane for a future road trip. Carolina Hurricanes forward Bryan Bickell said on Tuesday he is targeting the five-game homestand that begins on Feb. 17 to return after being diagnosed with multiple sclerosis. Bickell, 30, has not played since Oct. 30. The Hurricanes announced on Nov. 11 that he had been diagnosed with the disease after he had been suffering from numbness in his right arm and leg and some dizziness. "I feel good," Bickell said after a conditioning skate at Verizon Center, where the Hurricanes face the Washington Capitals on Tuesday (7 p.m. ET: CSN-DC, FS-CR, NHL.TV). "I obviously don't feel good right now, I just got skated pretty hard, but it's going to help me down the long run. I think we're getting there and getting close to getting back in the rotation. We're shooting for probably after the bye week and then kind of day by day from there." The Hurricanes play at the Dallas Stars on Saturday and then go on their five-day break. They return on Feb. 17 against the Colorado Avalanche to open a five-game homestand that includes games against the Toronto Maple Leafs on Feb. 19, Pittsburgh Penguins on Feb. 21, Ottawa Senators on Feb. 24 and Calgary Flames on Feb. 26. As one of the youngest players in the NHL, Carolina Hurricanes defenseman Noah Hanifin is known for his maturity off the ice. The 18-year-old had no choice but to grow up fast. At 13, Hanifin was in the eighth grade and playing varsity hockey at St. Sebastian's School in Needham, Massachusetts, when his father, Bob, was diagnosed with colon and kidney cancer. During his dad's yearlong chemotherapy treatment, Hanifin became the man of the house, helping his mom and two younger siblings. "Any hockey player can say their dad had a big impact on their life, taking them to the rink every day," Hanifin said. "When he was sick, it was the first time I have had to deal with adversity. It may not have been hockey, but it was some sort of adversity. It made me grow a lot as a person. Just going through that experience with my dad I matured a lot as a person and that ultimately helped me as a player." At June's draft, Hanifin was in the stands at BB&T Center in Sunrise, Florida, when his name was called as the fifth overall selection. His parents, younger brother and sister were with him. "It was awesome. It was a dream come true," Hanifin said. "It was such a surreal experience. You don't really get it until you're there on that day and you're sitting there so nervous with your family. Luckily for me, I was drafted by the Hurricanes and to be able to go through that with my family was one of the best feelings of my life." Six NHL teams received funds from the U.S. Department of Defense amounting to a sum of $1,040,500 from fiscal years 2012-15 to promote patriotism by virtue of honoring veterans and the military, according to a report released on Wednesday by U.S. Senators John McCain and Jeff Flake of Arizona. Boston, Carolina, Florida, Minnesota, Detroit and Dallas participated in the program, with the Wild reaping $570,000 from their partnership with the Minnesota Army National Guard. The report has sparked questions and even some outrage about whether this is a proper use of government money, but no one should infer or imply that these teams or the league have anything for which to apologize. The NHL didn’t have its hand out here. There was nothing surreptitious about it within the league, either. Deputy commissioner Bill Daly told Slap Shots the so-called “patriot funds” were reported as hockey-related revenue (HRR) as per the collective bargaining agreement. “Anything received by Clubs as part of partnership deals with military organizations would have been included in HRR reporting and therefore would have been shared with the Players,” Daly wrote in an email correspondence. Brooks continues, discussing Alain Vigneault's candidacy for Team Canada's World Cup team, goal-scoring disparities and James Neal's "hit list." Is Mark Recchi a Hockey Hall of Famer? There’s no denying the impact Mark Recchi had during his 22-year career. He won three Stanley Cups with three different teams: the Pittsburgh Penguins (1991), the Carolina Hurricanes (2006) and the Boston Bruins (2011). He made a difference both on and off the ice wherever he played. Recchi could have retired after a disappointing 2009-10 season in Boston, but decided he wanted to go out a winner and stayed for one more season, helping the Bruins hoist the Cup with a win over the Vancouver Canucks in 2011. He officially announced his retirement while celebrating with his teammates on the ice at Rogers Arena. "Rex" didn’t earn induction in 2015. Not many can go out the way Recchi did. I still remember the image of him sitting at his locker at TD Garden after the Bruins lost in historic fashion to the Philadelphia Flyers in the 2010 Eastern Conference semifinals. The Bruins had a 3-0 series lead, but the Flyers erased that deficit and won in seven games. By the time the media was allowed in the Bruins’ locker room, all of the players were out of their equipment with the exception of Recchi. The only piece of equipment hanging in his stall was his helmet. The 2010 version of the Bruins missed their opportunity, and Recchi knew it. He said he needed time to decide whether or not he would retire. It didn’t take him long to realize the team’s potential, so he signed another one-year deal for 2010-11. It was that drive, determination and never-say-die attitude throughout his entire career that made Recchi so good, and the players around him better. His contributions on the ice were impressive, too. He finished with 577 goals and 1,533 points (12th all time) in 1,652 games. He produced three 100-point seasons. He was extremely durable, too, routinely playing a full 82-game season. Plus, three Cup championships speaks for itself. He’s one of only three players to win a Cup with three different teams, joining Joe Nieuwendyk and Claude Lemieux. The NHL's roster freeze may be in effect until December 27th, but the Ottawa Sun's Bruce Garrioch brings trade rumor gifts to the hockey holiday tree via his Sunday column. Making $3.08 million in the final year of his contract, some wonder if a five-year, $25-million deal would get it done for Foligno. Probably not — the thinking is he’d be able to eclipse that number on the lucrative free-agent market. You have to think Foligno is looking at the seven-year, $36.75-million deal that David Clarkson signed with the Leafs at $5.25 million per season in 2013-14 as a benchmark. The Jackets aren’t sure if Nathan Horton will ever return from his back issues, so they want to keep Foligno badly. NHL caption: "Kucherov scores after puck takes wacky bounce." Fan who grew up watching NHL games at Joe Louis Arena: "Tampa Bay defeated Carolina 2-1 because Nikita Kucherov knows that the stanchions are in play and Cam Ward cheated toward the perceived trajectory of the puck." Garrioch on the Canes, Yandle and…Oshie? With four years left at $7 million per-season, the underachieving Alexander Semin was a healthy scratch against the Arizona (don’t call me Phoenix) Coyotes on Saturday. The Canes would love to deal him but there’s no interest. Naturally, the name of captain Eric Staal is going to be front and centre in all of this because there are several teams interested, not the least of which is the Toronto Maple Leafs. Defenceman Andrej Sekera, who had 44 points last season and is making $2.75 million, will be highly sought after and will easily find a new home. Ron Francis, Executive Vice President and General Manager of the National Hockey League’s Carolina Hurricanes, tonight announced that center Jordan Staal suffered a broken bone in the lower portion of his right leg during the team’s preseason game against the Buffalo Sabres. Staal, 26, was injured during the third period when he got tangled up with Sabres defenseman Josh Gorges in the third period of Carolina’s 2-0 exhibition loss. Staal will return to Raleigh with the team on Wednesday and will be evaluated by team doctors on Thursday. A timetable for his recovery has yet to be determined. His next gig will allow him to stay in Dallas with his family while at the same time reconnecting with the NHL. ``I enjoyed my year with helping my son’s hockey team and now I can continue to do that,” Nieuwendyk told ESPN.com this week after being named pro scout/advisor to Carolina Hurricanes GM Ron Francis. When Jay Feaster was fired as GM in Calgary last season, rumors -- well-founded ones -- spread that Flames president of hockey operations Brian Burke had great interest in bringing former Flames star Nieuwendyk in as Feaser's replacement. While Nieuwendyk has never talked publicly about that specific possibility, it is clear he’s not ready yet to jump back into that demanding lifestyle of running an NHL team. The Charlotte Checkers have signed former Hurricanes right wing Chad LaRose to an AHL deal. LaRose, 32, spent parts of three seasons in the ECHL and AHL before breaking into the NHL and becoming part of the Stanley Cup-winning team in 2006. The 5-foot-10, 181-pound LaRose has played 508 games in his NHL career over eight seasons, all with the Hurricanes, accumulating 180 points (85g, 95a) and 286 penalty minutes. The undrafted Michigan native has also appeared in 125 career AHL games with the Lowell Lock Monsters, most recently in the 2005-06 season, totaling 83 points (41g, 42a) and 71 penalty minutes. LaRose has not played at any level since posting four points in 35 games during the lockout-shortened 2012-13 season. Afternoon line(s): not-so-major signings and…a trade show! #Isles have signed Casey Cizikas to 2-year, $2-million contract and Calvin de Haan to 3-year, $5.9 million contract. Ron Francis, Executive Vice President and General Manager of the National Hockey League’s Carolina Hurricanes, today announced that the team has signed forward Nathan Gerbe to a two-year contract. 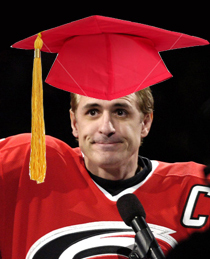 The deal will pay Gerbe $1.5 million in 2014-15, and $2 million in 2015-16. Gerbe, 26, set or tied career highs in goals (16), power-play goals (3), points (31) and shots (221) in 2013-14, his first season with the Hurricanes. The Oxford, MI, native ranked fourth on the team in goals and seventh in points, playing in 81 of the team’s 82 games after signing as a free agent in the offseason. Gerbe played his 200th career NHL game on Oct. 28 against Pittsburgh, and notched his 100th career point with a shorthanded goal against New Jersey on March 8. Selected by the Buffalo Sabres in the fifth round, 142nd overall, in the 2005 NHL Draft, Gerbe (5’5”, 178 lbs.) has scored 45 goals and earned 58 assists (103 points) in 269 career NHL regular-season games with Buffalo and Carolina. Gerbe has represented the United States in a number of international competitions, including the 2004 and 2005 U-18 World Junior Championships and the 2006 and 2007 World Junior Championships. Prior to turning professional, he played three seasons at Boston College, helping the Eagles capture the national championship in 2008. The Canes re-signed Ron Hainsey earlier today, and they also signed depth forward Chris Terry to an extension. While Carolina GM Jim Rutherford is expected to move upstairs into a full-time role as president at the end of the season, the word is owner Peter Karmanos has to sign off on the decision to elevate Ron Francis. You’d have to think it is a rubber stamp and if that’s the case then coach Kirk Muller will likely be thanked at the end of the season. Commissioner Gary Bettman talked about expansion and said nothing was imminent. What is happening? McKenzie: Bettman said there was no formal process in place but you have to believe there may be an informal process that is in the works. We know the NHL wants to get to 32 teams, the question is when it could happen. The absolute earliest you could add teams to the NHL would be the 2015-2016 season, just less than two years away. The league needs a one-year lead time on that, therefore if anything is happening, it will escalate over the next ten months. After hearing about little other than the Buffalo Sabres' former co-captain and his former goaltender over the past week, it was refreshing to hear TSN's "Insider Trading" panel, a.k.a. Bob McKenzie, Pierre LeBrun (who touched upon several of the below-mentioned topics in his "Rumblings") and Darren Dreger discuss non-Sabres topics--after touching upon the obvious Vanek and Miller angles. [A]nother goalie is trying to get back to the NHL. Rick DiPietro got the second largest buyout in NHL history, $24 million. He'll never see that kind of money again, but will he get another shot in the NHL? Bob McKenzie: It's a possibility. The Carolina Hurricanes are having problems in net. Obviously, Cam Ward is out for the next few weeks with an injury and Anton Khudobin is out for at least another week. So, they signed DiPietro to an AHL tryout contract on the weekend and what's going to happen now is that they want to see him in action. On Wednesday and Thursday night, DiPietro is scheduled to play for the Charlotte Checkers in the American Hockey league, on the road in Grand Rapids and Rockford. How he performs in those games, coupled with how Justin Peters plays for the Hurricanes in their next game against the Tampa Bay Lightning on Friday night will determine how quickly or if Rick DiPietro can get back up. Another disappointing outing for the Flyers would start with Jay Harrison notching his first of the season for the Hurricanes as he put a wrist shot past Steve Mason in the first period. Trade to announce: #Canucks have acquired Zac Dalpe and Jeremy Welsh from @NHLCanes for Kellan Tochkin and a 4th round pick in 2014.
slightly underrated New York Islanders three times in the next five games, fans and media here are making various conjectures about what it would realistically take for the Sabres to make the postseason. What’s the formula for this tenth place team, currently eight points out of eighth place, to climb the charts and grab a playoff spot? For those of us blogging twitterphiles feeling unarmed sans the required journalism degree to venture into such a realm of analytical complexity, let’s leave this Mensa-level exercise for the professionals. - Buffalo News sports reporter John Vogl, January 14, 2011. - Vogl, later that same day. That’s pure gold, so on second thought, let’s take a slap shot at this and review some prevailing theories on what parts of their remaining schedule are most crucial for the Sabres to ace in their drive to make the playoffs. Algoma University will celebrate the awarding of degrees at Spring Convocation 2008 to be held on the campus of Algoma University on June 14, 2008. Where did all the goals go? There are no excuses now: With Scott Walker back, all 13 Carolina forwards are healthy for tonight’s game against the Washington Capitals. They’re just not producing. Rod Brind’Amour has three goals in the past seven games. Matt Cullen, Jeff Hamilton, Eric Staal, Cory Stillman, Ray Whitney and Justin Williams have combined for seven. Carolina’s defense, meanwhile, has chipped in only three goals all season. The Hurricanes switched two games ago to the modified jerseys, which feature a looser fit on the arms, more air-knit fabric and less of the “bead-away” water repellency technology touted by Reebok. The newest jerseys have the same necklines, are cut the same way and offer few visual clues to the changes in materials used. But the adjustments are enough to prompt some praise. Skating low and fast down the right side chasing the puck moments earlier, (Erik) Cole appeared to fall forward as Panthers defenseman Jassen Cullimore got entangled with him as he leaned into Cole. Cole was taken to the nearby Cleveland Clinic in Weston, Fla., for observation after laying motionless on the ice for several minutes. Team officials reported that Cole had demonstrated some movement in his limbs and had some pain in his trapezius muscle covering the upper back and shoulder region. A team release later said that Cole had been released from the hospital and cleared to fly to Tampa with the team this morning. A CT scan was negative. As of Wednesday morning, three of the NHL’s top 10 scorers were Hurricanes, as were six of the top 30, three of the top 21 in goals and three of the top 10 in assists…. “It’s the style that we play,” Hurricanes coach Peter Laviolette said. “There’s an identity we’re looking for and it’s about the puck and about offense. Another number that ties into that is goals against and goals for. he Hurricanes have been, as captain Rod Brind’Amour put it, “brutal.” In 13 games, they have allowed 19 power-play goals, a short-handed success rate of 72.5 percent, 28th among the 30 NHL teams. “Twenty-eighth? It’s amazing we’re not 30th,” Hurricanes forward Justin Williams said. “It has lost us games, plain and simple. Our power play has won us a few guys, but the (penalty kill) has lost us some games. It has to get better. I really don’t think it can get any worse. Stung by two third-period diving calls whistled against them Wednesday in a 4-2 loss to the Panthers, the Hurricanes have asked the NHL to review the two penalties. A long offseason of recovery and rehabilitation have paid off, however. Diving in front to block two 5-on-3 slap shots in Toronto, notching a goal and two assists last week en route to posting a gaudy plus-5 against Buffalo, Hedican has convinced himself and his coach that “the old Bret” is back. And clearly, that’s not another way of saying “too old,” not for a defenseman who ranks second on his team in ice time (19:06) while ranking among the league leaders at a healthy plus-9 for the season. A night after Scott Walker partially collapsed on the ice as he skated to the bench, the Carolina Hurricanes lost Erik Cole without him so much as lacing up a skate. Cole was a late scratch for Saturday’s 3-2 overtime loss to the Philadelphia Flyers after injuring a foot while playing soccer before the game. Cole is definitely out for Monday’s game against the Vancouver Canucks and doubtful for Carolina’s other three games this week. With Walker and Andrew Ladd already out, the Hurricanes were down to 10 forwards and dressed only 17 skaters against the Flyers. 1. CAM WARD. Amid all the talk about how Ward’s hard work over the summer restored his quickness, it’s important to remember that quickness was only half of his problem last season. Consistency was the other, and this is a chance for Ward to prove that he can not only play at a high level—which he did at times last season—but do it on a night-to-night basis. 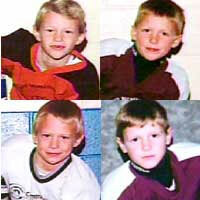 This morning, Eric, Marc and Jordan Staal participated in an NHL teleconference with their father Henry. The player below will allow you to hear the whole conference here on KK (*or you can download the mp3 from here). “If you look at our season last year, towards the end of the season, we were fighting for our playoff lives,” said Hurricanes’ goaltender Cam Ward. “You’d hate to look back at your early season, thinking or wishing that you’d had a better game here or there. Every game is huge. It’s not just all about the second half or the last week, trying to get into the playoffs. It’s about what you do the entire season that really matters. Ward, the Conn Smythe Trophy winner in the ‘06 playoffs and the reigning player-of-the-week, is undefeated in regulation thus far. “Right from Day One in training camp, you could definitely see the guys were a lot more excited and a lot hungrier,” he said. He didn’t get drafted and drifted to the ECHL and UHL before getting a shot in the American Hockey League. Then he produced, just like in high school, just like in college. He’s been called up by the Hurricanes twice in the past two seasons—but never for more than eight games before being sent back down to Albany. “Not necessarily, because basically the defense we have now is the same or equivalent to the defense that we had when we had the good year two years ago,” he said. “With that being said, our team would be improved with another defenseman that can move the puck. Adding some offensive punch on the blue line has been near the top of Rutherford’s agenda since the end of last season. News that Kid Rock was given a Stanley Cup ring by Carolina Hurricanes owner Pete Karmanos, a fellow Detroit native, set off some discussion in the hockey world today. On The Fan 590 in Toronto, John Garrett was appalled and rightly so that some pop star would get an exact replica of the ring given to the players when they won the 2006 Cup just because he’s a buddy of the owner. The Sportsnet commentator said his daughter got a ring when she was a staffer for the Tampa Bay Lightning when they won in 2004, but it was a much simpler model than the one given to the players. This piece is about the Hurricanes and their eye for the Cup. Four games into the 2007-08 campaign and these guys are for real. They’re quick, offensive-minded and steady in their own zone. And if the 2006 Conn Smythe Trophy winner, Cam Ward, can stay atop his game for most of the season, the Hurricanes will be in business. “Last year was a disappointing season, but you do the best that you can to take the positives away from that,” Ward said. “One of the positives was that we got a lengthy summer where we were able to recharge the batteries and get guys healthy. We saw that once we came into training camp, guys were serious, they were a lot hungrier and it’s starting to show. The Hurricanes have called a 2 p.m. press conference today to announce their new assistant general manager, by all indications Ron Francis. Commodore will make $1.3 million this season in the final year of a two-year contract. After that, if his progress continues, at age 28 he could find himself one of the top defensemen available on the market. “I thought about it a little bit this summer, and it’s a little bit of motivation, I guess,” Commodore said. “Every summer you try and find something. “Last year, my motivation was that I’m going to get a big opportunity to play, so I need to work a little harder in the weight room. Ten years ago Monday, the Hurricanes played their first regular-season game as a franchise, a 4-2 loss to the Tampa Bay Lightning. Two days later, hockey hit North Carolina full-force when the Hurricanes hosted the Pittsburgh Penguins at the Greensboro Coliseum…. For fans used to seeing ACC Tournament basketball, hockey was an adjustment. At one point, the crowd chanted “de-fense” when the Penguins had the puck. But if North Carolina was getting used to the NHL, the NHL had to get used to North Carolina, too. As the Hurricanes left the ice, they were showered in beer as fans threw their cups on the ice—a tradition left over from Greensboro’s minor-league days. The Blue Jackets lost to the Carolina Hurricanes 2-1 in a nine-round shootout in front of 15,713 in the RBC Center. But, this being the exhibition season, the score is merely an aside. “We’re going to be the toughest team in the league this year,” Fritsche said. “What this should tell everybody is that we’re not going to back down from anybody. If there’s an issue, our five guys are going to be right in the middle of it before their five guys are. That’s just the way it’s going to be. There were 39 penalties for 142 penalty minutes, including eight fighting majors, 12 roughing minors, three 10-minute misconducts and two game misconducts. Although Ladd is prized for his physical play, Rutherford noted that a key step in his development will be learning how to harness that desire to hit everybody on the ice and put opponents through the boards every shift. Yet Canes coaches and Ladd himself are quick to note there’s no call to change his style of play. Training camp is all about introductions, as new players join an established bunch. Cam Ward didn’t need any introduction to Michael Leighton when the Carolina Hurricanes’ new goalie arrived in town. At least, not to Leighton’s fists. The two squared off in one of the more memorable fights in recent memory, a brawl during a 2004 minor-league game that spilled onto the benches and beyond. Now, after a draft-weekend trade that brought Leighton to Carolina from the Montreal Canadiens, they are teammates..
Are the Hurricanes tough enough ? Do they need to add an enforcer type to their roster? There seems to be a movement back to this among many teams. The Boston Bruins, Philadelphia Flyers and Pittsburgh Penguins come to mind as three teams that have addressed the issue and have gone in that direction over the the last few months. When the NHL opened for business after the lockout in 2005, it looked like some of these players would fall by the wayside. Would the warrior who had protected the skilled player for so many years become extinct? Watching practice Monday morning, Ron Francis sat in the stands at the RBC Center and sketched and doodled on a pad in his lap, diagramming plays. Francis is searching for an answer to the same question that so plagued the Hurricanes a year ago: What went wrong with the power play? ...But the Canes have only seven NHL defensemen under contract, leaving the margin for error wafer-thin. On a team most assess as a Stanley Cup contender, this is the acknowledged weak spot. “If our defense can stay healthy, there shouldn’t be any doubt of what we’re capable of doing or how well we’re capable of playing,” Canes forward Erik Cole said. There’s a little depth in the system—only one defenseman, Wade Brookbank, has played in an NHL game—and no money left in the budget for reinforcements, so the Canes need their five healthy defensemen to stay stay that way and need Kaberle and Bret Hedican to be ready on opening night.